We help businesses realize their dreams by creating websites and apps, that play a meaningful role in people’s lives. Our principles are Innovation, Intelligence, and Style. 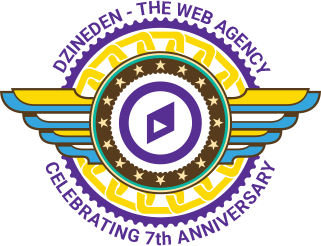 Started 7 years back in March 2011, dzineden (pronounced “DeZine” den) is a website design & development company based in Bengaluru, India. As part of our anniversary celebrations, we are giving out free websites. We design experiences keeping the user-first approach. Our websites are innovative, reflecting style and intelligence. We build simple, creative, usable websites by blending latest technology and creativity. 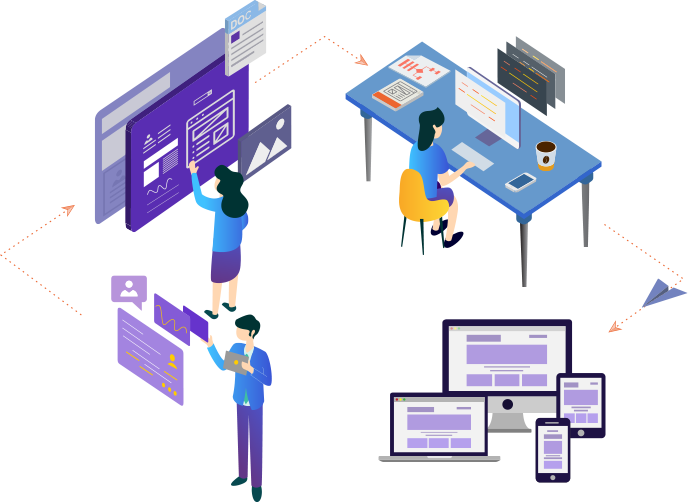 We are an amazing team of usability experts, tech architects, web designers and web developers with a rich experience in the web development industry. Whether building a one page eCommerce website selling a few products, or a multi-scale website selling thousands of products, we can provide you a simple and complete solution. We are experts in Magento, PrestaShop, OpenKart, Shopify or even a custom technology built from scratch. 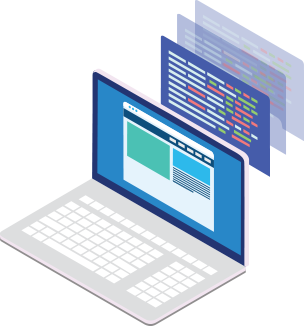 Give us a design in any common format and receive perfect high-quality, commented, cross-browser compatible, SEO friendly & load speed optimized, W3C Valid semantic HTML5 / CSS3 markup. WordPress powers 30% of all the websites and 76% of websites those were redesigned. 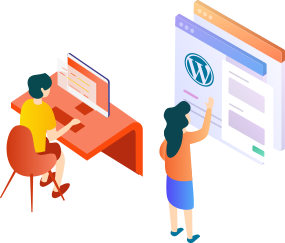 We help you build your website in WordPress which gives you a capability to manage your content easily. We've built WordPress websites for bloggers, corporates, educational institutes, NGO's, Gyms, Doctors, mobile apps and many more. Are you intereseted in any of our services? We have hands-on experience in building and deploying cutting-edge mobile applications. We work on both iOS and Android platforms. We help businesses leverage the mobile to go-to-market, reach a vast audience, boost brands and transform business processes. We are introducing SEO as a service offering. We practice a clean SEO practice which helps your site to rank better than your competitors. Unlike other SEO companies, we look SEO from a different standpoint. We give a complete makeover to your site for free, if you choose our SEO services. Talk to us for more details. We create videos by understanding your business and based on your target audience. We specialize in corporate videos, explainer videos, 2d animations. Talk to us for a demo of our videos. We continue to evolve, strive to remain as adaptable, motivated and responsive to our customers. 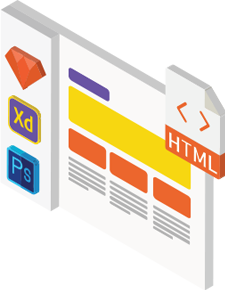 We’re continuously transforming the way we operate to improve our ability to become the Best Webdesign Studio in India. We are proud of where we are today and excited about where we are heading. Since 2011, we’ve designed over 500 web design, website development, mobile UI/UX, mobile apps, corporate presentations, explainer videos, emailers and touch screen kiosk projects for over 100 start-ups to established companies in almost every industry.